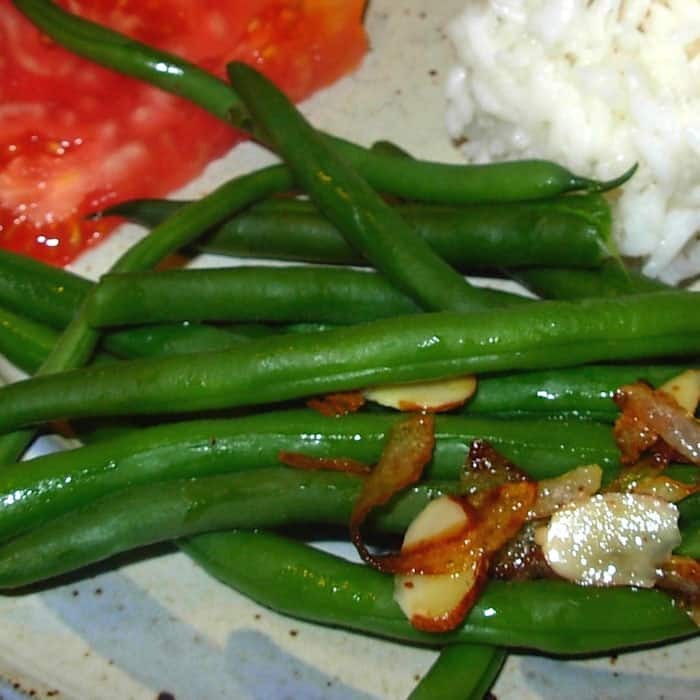 Green Beans Almandine are a favorite in most homes. 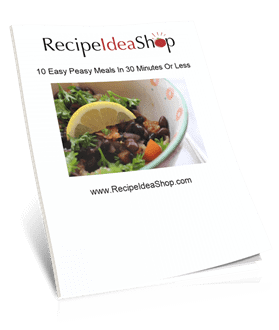 Quick, easy and so tasty. Crisp, a bit salty and buttery. Hi. Don here, telling you about my Green Beans Almandine. Although green beans are abundant in the summertime, this is a recipe that works all year because in the United States green beans are readily available all year round. It’s simple and only takes a few minutes start to finish after you “snap” the beans. Fresh green beans are one of Lois’ favorite vegetables. 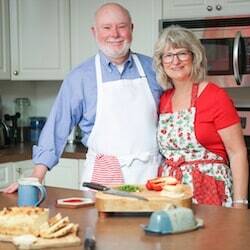 She always says she likes green beans no matter how they are made—steamed (crisp), raw on a salad, cooked-all-day (the way my mom used to make them), canned or in her Green Bean and Tomato Salad (that’s one you won’t want to miss). She was delighted with these Green Beans Almandine. A good sauté pan like Le Creuset and a vegetable steamer are very helpful for this recipe. Place the green beans in a vegetable steamer. When the water boils, let the beans cook for about 8 to 10 minutes. While the beans cook, melt the butter over medium heat in a small skillet. Add the onion slices and sauté them until they start to caramelize (about 5-6 minutes). Add the almonds and cook a few minutes more, tossing the onions and almonds occasionally. When the almonds start to brown, they are done. 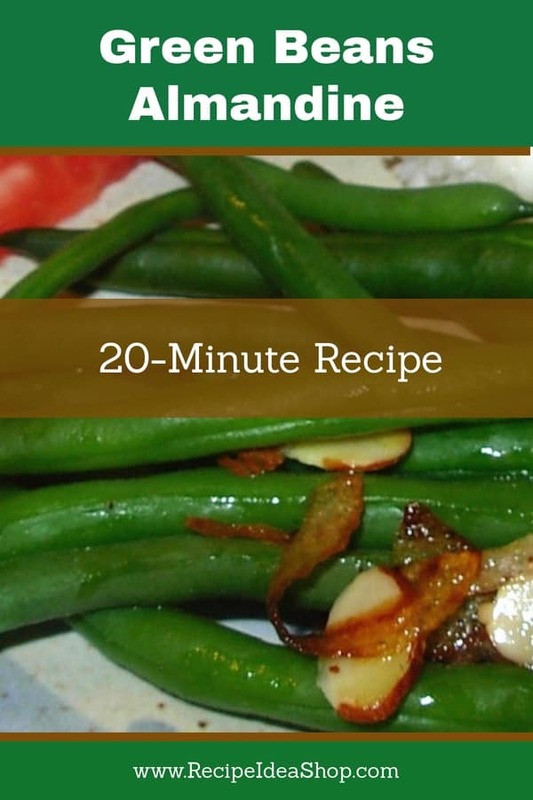 To serve, place the green beans in a warm serving dish and top with the onions and almonds. 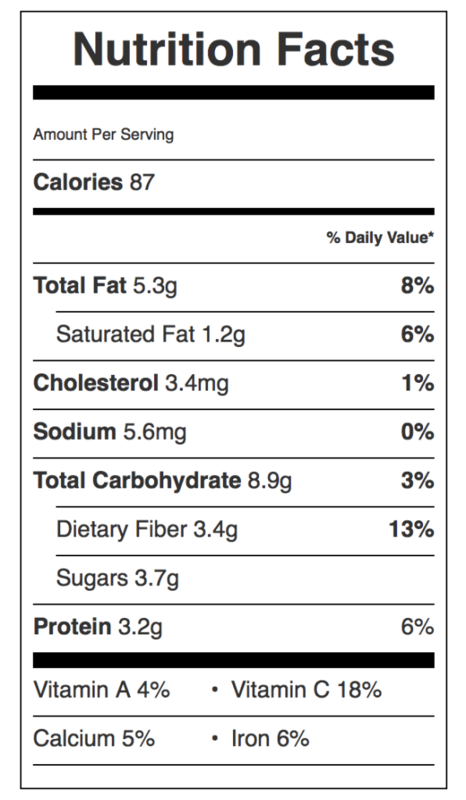 Green Beans Almandine Nutrition Label. Each serving is about 1 cup.